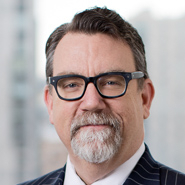 Principal Pete Anderson (Washington, DC) was quoted in a June 28 article in Law360 titled "3 Takeaways From VW's $14.7B Emissions Cheating Deal." The article discusses on Volkswagen's recent emissions settlement. "Even though it's a massive settlement, Volkswagen is still far from being out of the legal woods," Pete said. "Despite budget constraints within EPA, the agency will react aggressively in throwing all of their enforcement spears if the underlying misconduct of the target is extreme. Corporations who underestimate the potential costs and liabilities of significant environmental violations will do so at their peril." Click here for the full article (subscription required).